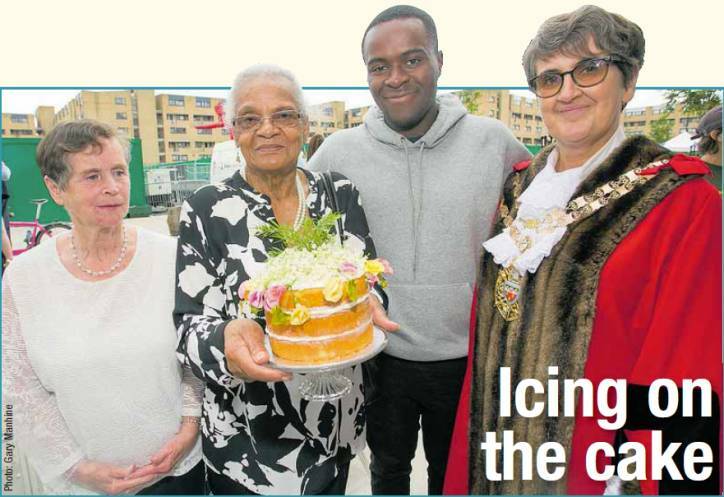 From the left: Patricia, Grace, cake, Liam, Speaker (Woodberry Down Fun Day, 16 June). take lots of water to cool you down. kind regards from Patricia. Good Morning to my fellow bloggers. I am sending my congratulations to Irene who did a plane jump on her 90th Birthday. on 21st May 2018, from 12 thousand feet somewhere in Kent. What a very brave lady indeed. Good morning to all my fellow bloggers. First of all I wish you all a very Happy Easter, and have a very happy time. I would Like to Thank Josh for the lovely Birthday cake he made for his Birthday,and wish him many more Happy Birthdays. I will be unable to attend the podcast to-morrow regarding the topic What makes you Happy. First of all what makes me Happy is to have my family around me including my wonderful five Grand-Children. Also coming to our dropin 50plus group on wednesday mornings, and to see how everybody is progressing with their lessons, and see how happy they all our. To all my ICTdrop -in friends. First of all a Very Happy New Year 2018. to you all. and good health to you all. I am sure 2018 will also be a very good year for us all to learn more IT skills.